Emma Lapp tries to be the perfect daughter, to earn the loving embrace of her family and her Amish community in Pennsylvania. Yet she cant quite win her mothers smileor her forgiveness for a transgression Emma cant quite place . . .
Emma knows shes the source of her mothers greatest sorrow, having been born on the same day Mamm lost her beloved sister. The one bright spot has been the odd trinkets anonymously left at her aunts grave each year on Emmas birthdaygifts Emma secretly hides because they upset her parents. But the day she turns 22, a locket bears a surprise that sends her on an unexpected journey . . .
Searching for answers, Emma travels to the English world and finds a kinship as intriguing as it is forbidden. But is this newfound connection enough to leave behind the future shed expected? The answers are as mysterious, and as devastating, as the truth that divides Emma from the only family, and the only life, shes ever known . . .
"A charming, well-told story of love and devotion between sisters." "Kudos to Bradford for a complex and compelling story about faith, family, and love." "A gentle and engaging tale, a lovely escape." 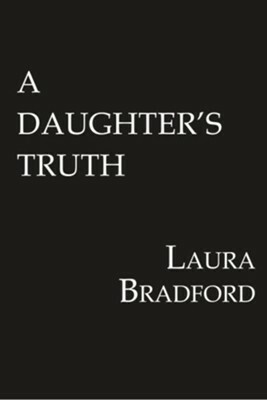 I'm the author/artist and I want to review A Daughter's Truth / Digital original - eBook.